CHINA aims to complete and start generating power from an experimental nuclear fusion reactor by around 2040, a senior scientist involved in the project said, as it works to develop and commercialize a game-changing source of clean energy. While nuclear fusion could revolutionize energy production, with pilot projects targeting energy output at 10 times the input, no fusion project has up to now created a net energy increase. Critics say commercially viable fusion always remains 50 years in the future. China has already spent around 6 billion yuan (US$893 million) on a large doughnut-shaped installation known as a tokamak, which uses extremely high temperatures to boil hydrogen isotopes into a plasma, fusing them together and releasing energy. If that energy can be utilized, it will require only tiny amounts of fuel and create virtually no radioactive waste. 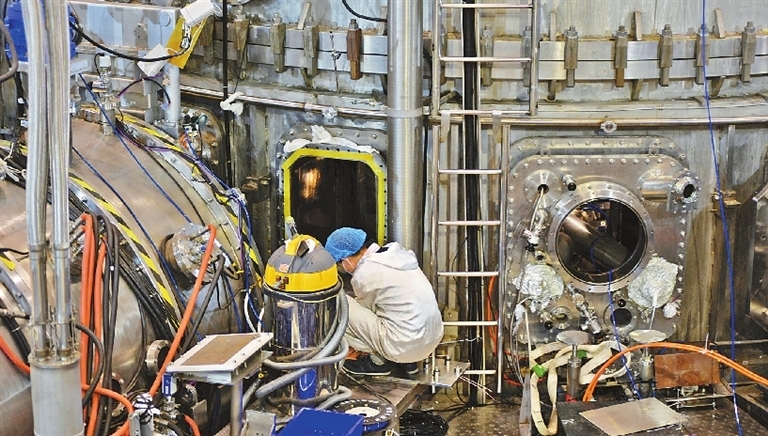 Song Yuntao, deputy director of the Institute of Plasma Physics at the Hefei Institute of Physical Science, said that while technological challenges remain immense, the project has been awarded another 6 billion yuan in funding, and new construction plans are underway.